This fun pattern is a great way to use up your yarn odds and ends. 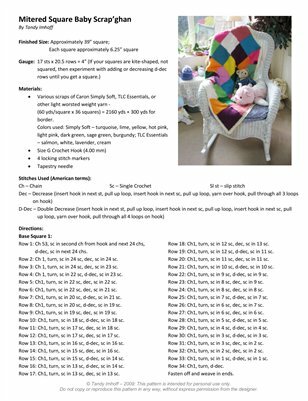 Work this 39" square afghan by creating mitered squares that join as you go, so no sewing! Perfect for any young child, or simply work more squares to make a larger afghan for an adult.